It was a while ago that I posted my pattern for Friday Flowers, but it's really sparked some inspiration in me (and hopefully some of the 5000 of you who have looked at it). 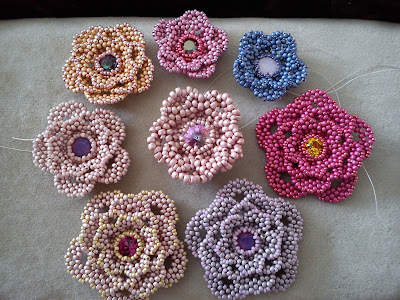 I've been working on designing a repertoire of flowers because I would like to start making more bridal jewellery next year (once I've got my wedding out of the way). Two of my recent flowers are based on the Friday Flower, the Ruffled Rose and the Water Lily. 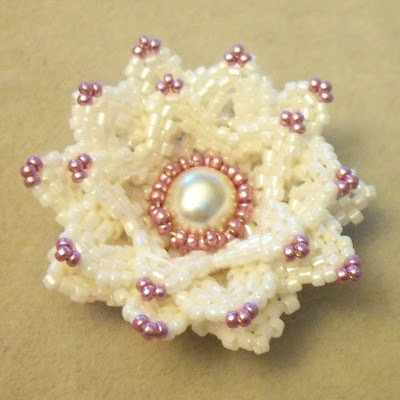 The Ruffled Rose is available as a tutorial in my Etsy Store, and the Water Lily should be joining it there soon. The water lily has pointy petals, which curve more, they make a cup-shaped flower. The centre of these flowers is a pearl, rather than a chaton, which gives a softer look, and also allows for a deeper flower too. The last of my flowers (for the time being) is a little daisy. This flower is completely independent from the Friday Flower as the bezel start is peyote rather than herringbone. Here are a few more flower pictures to give you an idea of how they look. Each one is gorgeous!! I can't wait for your lovely water lily pattern!! 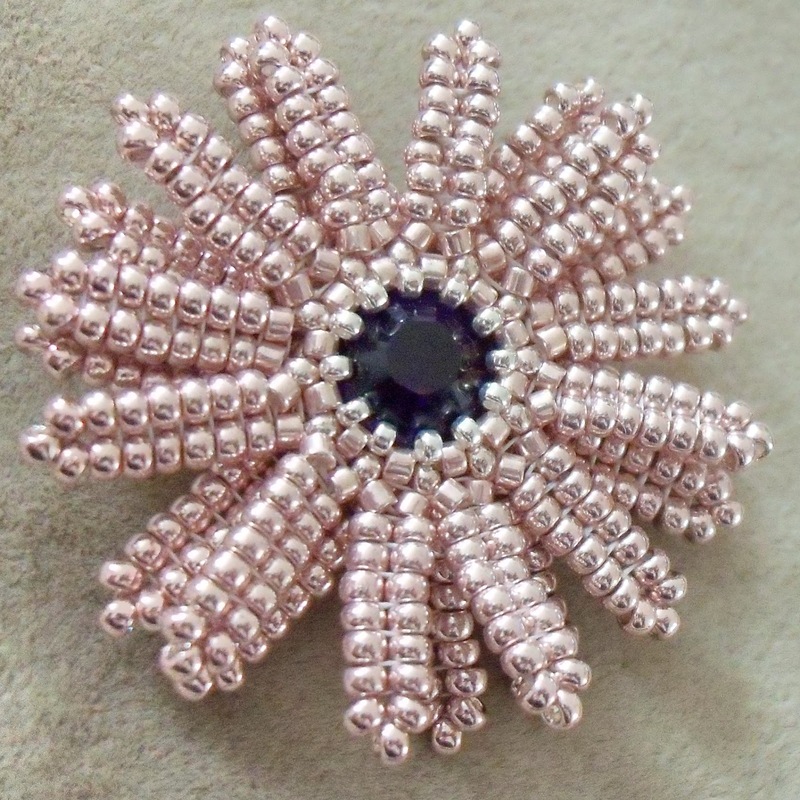 You've been making some beautiful things, Becs - I think there will be lots of brides wanting to wear a BeadsbyBecs flower!!! Thank you Nancy! Hopefully the water lily pattern will be done this week. Beaded Bag - the final instalment!